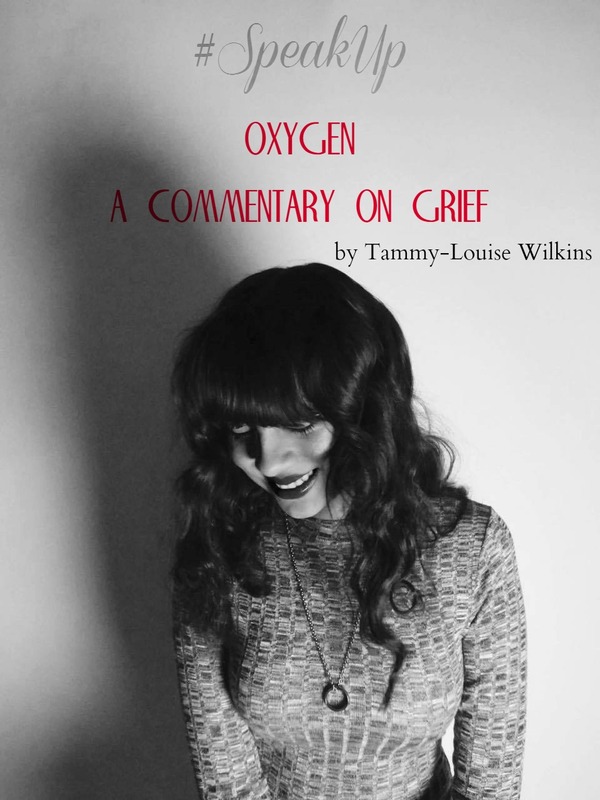 For this instalment of #SpeakUp, Tammy is going to be discussing grief, in particular how to deal with as a young person living in the 21st century. When we think of grief, we commonly associate that emotion with death but in actual fact, grief is a pain as a result of loss. Tammy discusses some very in depth and powerful points about how to deal with grief as a young person. I don't have any experience on this topic, as I have never grieved or lost anything or anyone close to my heart. However, I know that many people will find this useful, so please do take the time to read the beautiful and articulate words Tammy has produced on this subject. Life is a constant pivotal point. We are persistently educated on the ways and paths of life – whether they be of virtue or corruption. Memory and experience come into fruition when they nourish and become nutrition for our ever-expanding knowledge of the world. The questions are endless to how this came to be and when it came to be. What I have learnt, though, in retrospect from living in this radical era, is that grief is a common thing. We frequently associate grief with death. It is a mourning period and an education in maintaining our existence and our will to exist in this world. But it is more than that. Grief does not simply apply to death. It applies to any loss. With loss, comes great grief, great agony. In essence, grief doesn’t necessarily have to concern death in its literal sense at all. It could be reiterated as a symbolic explanation for different losses. We, as the current generation, are categorically altered to that of the past. We were born into the age of technology. Where finding love was no longer coincidentally bumping into a suitor at a bookstore or café and has now been transformed into acquiring love from another in the virtual world. We, as the current generation, are somewhat damaged by the past. The sexual revolution of the 20th century was an enlightening event that leads to social acceptance of all matters of sexuality and expressing said sexuality. But in this, came a very dark reality. We, as the current generation, are somewhat confused by the foundation that the past produced. We live in a world where love and sexuality are warped and corrupted by society’s expectation and cultural standards. The reason I am discussing this is because we don’t truly comprehend just what loss can do to a young person. It doesn’t have to be a death. It is, painfully often in this reality, the death of love. The death of a bond. It is a sacred connection that we, as a technology-crazed and heavily influenced generation, disregard until we lose it. There is a distinct toxicity in this world we live in. Wherein we do not treat others the way we wish to be treated. We are a dysfunctional bunch, so to say. There is an error in conduct which results in a traumatic, lengthy, and painful turmoil. And we don’t take into account just how harmful this is to a young person. Young people are berated for the pain they feel with expressions that they are too young to understand or undergo the process of grief proceeding heartbreak. But, in reality, everyone – woman, man, girl, and boy – are capable and do feel that very same agony. Age doesn’t equate to being exposed to a different pain – we all can and do feel the same dosage. As a young person, dealing with grief in the 21st century – where we cannot escape the route of our grief thanks to academic environments, phones, and social media – is a harrowing affair. We lose a sense of worth, a sense of purpose, and – indeed – we often can lose sight of ourselves. It’s similar to that of an addict, we trade the root of our addiction for a distracting substance to put off dealing with pain. Not because we want to but because we have to. The world keeps moving and so we think we cannot stop to breathe. And that’s not healthy. Now, although I have just offered a heavily pessimistic view of love and loss in the 21st century, I want to rotate this discussion to explain just why you, lovely youths of this world, should remember your worth. Remember that, as cliché as this sounds, it is okay to not be okay and it is okay to actually give yourself some time to stop, close those eyes, and rest. A common factor that accompanies grief is that it is often overlooked. Our presence, our importance, our opinions, thoughts and feelings are forgotten. I am the one person who positively despises suppressing my pride and speaking to someone about my issues but I honestly mean it when I say this – talk to someone. In the beginning, you don’t want your peers to know about the turmoil you’re undergoing. Don’t let your inhibitions prevent you from talking to them. Once you do, you create a support group. What’s more, these people, even your family, may very well know exactly what you’re going through. Keep your friends and family close, because they will always be there. For me, that support group was my parents, my close friends, and a couple lecturers. We certainly find ourselves contemplating the ‘whys’ in the face of a death – whether literal or figurative. Tell them to be patient and open-minded to your grief. Ask for their availability to sit with you, listen to you, and aid you with your melancholy thoughts. Let them know that your pain is as real as their own – do not allow anyone to minimise your emotion. Opening our mind and our heart so that others can see just what pain we’ve been hiding is something that cannot be exacted lightly. But it can be done and you just have to do it. Because the difficulty in suppressing grief is that our emotions slowly form a tether and when that tether has reached its end, we will emotionally explode. Bite the bullet and speak to someone! A friend of mine recently offered this method as a coping strategy for which I truly believe is excellent. Another problem with being young and grieving is that often, your peers will find out and most often cause more punctures in the wound. Things like social media and the insatiable need that some have to talk about one another cause more problems such as rumours. So my friend suggested this; every day, write down the things you wished to say that day on a piece of paper, lay it beneath your pillow overnight, and then burn it the next day. Doesn’t sound orthodox, does it? Let me explain. Though I have just expressed the importance in talking to someone, there will always be things that you simply cannot divulge or explain coherently to anyone but yourself. So the idea here is that you write down the thoughts you had during the day, the pain you felt and the flares of anger you feel when you hear your name said in hushed and giggling tones and burn it. This is an excellent way to remove the weight off your shoulders bit by bit and move you just an inch closer to being free of pain. People will always talk about you – they will misconstrue and misunderstand the things you’re going through because, in actuality, they don’t actually know what you’re going through. This method helps you to accept the way society is and begin to accept yourself. In this technology-crazed society, closing our eyes to social media seems like an utter atrocity. How can we live without it? But the thing is, it’s good to say goodbye to social media for a while. You will benefit from distancing yourself from what is already a contaminated environment. I personally have found that shutting off my connection to social media for a few days really rejuvenates me and remember myself. I replaced social media with things that I find solace in – like writing, reading and having a good ‘ol movie marathon. It’s good to put your phone down, turn off the internet, and just live in the literal present surrounding you. As a workaholic, dealing with grief was not easy for me. I just wanted to work my behind off and never stop. I also have a few illnesses which this also provides consequence to wanting to work. My emotions are from one extreme to another with my illnesses and my fragility physically is always most tender. So I decided it was time to have a break. To rest. To breathe. This is vital to dealing with grief. Take the break that work, that school, that college, that university, and that day off provide. I’m not saying that work can wait, I’m saying that you have to give yourself a moment of time to yourself. You’re broke, it’s true. But you can be fixed. And this begins by looking at your reflection and accepting what you see before you can take steps to improve. Every morning and evening, look at yourself in the mirror and mentally think about what you see. Not just physically, but emotionally and mentally. Do it every day. It will begin negative. You will say things that are awful. But, with time, you will slowly progress to see the good things. You will remember your worth. You will begin to experience the personal growth that your grief had stopped you from undergoing. You will start to feel emotionally stable and your personal strength will grow as you begin to prioritise what really matters – YOU. Perhaps the most important, and albeit most cliché, suggestion of them all – it takes time. And this is where all of these suggestions will come into place. For me, it took months. Many months. And I’m still recovering from grief now. It’s a process that takes time. So, to conclude, grieving is something you never ignore. You’re worthy. And you will see the day when the sun shines and the smile upon your lips is real. I hope you enjoyed this post! 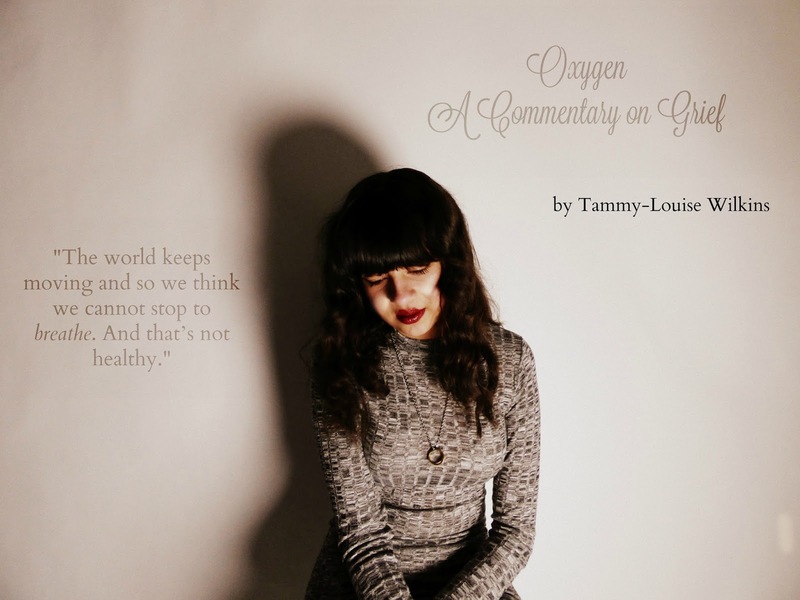 Thank you so more Tammy for writing such a beautiful and inspiring post! 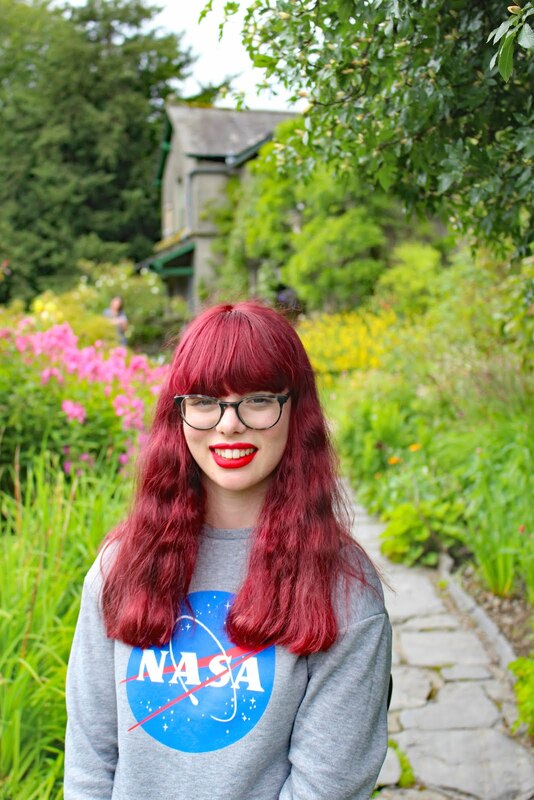 If you would like to contribute to the #SpeakUp series by writing your own guest post on a topic you think affects young people's health and wellbeing, that you have been through. You can find out more details HERE or drop me an email at thriftyvintagefashionbusiness@mail.com and I will get back to you as soon as possible!